Bring some Southern charm into your home with our Amish handcrafted Old South Country Table. This hardwood table has a graceful look that is perfect for the kitchen or informal dining room. 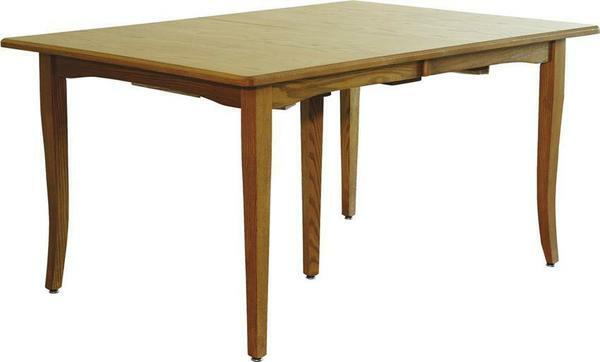 This Amish table is shown in solid oak wood with an OCS-102 stain. The table comes standard with concave table top shape and chamfer table edge. Wood slides are standard with extensions on all of our leg tables. Pair this table with our Old South Dining Chairs and matching bench to complete your dining set.